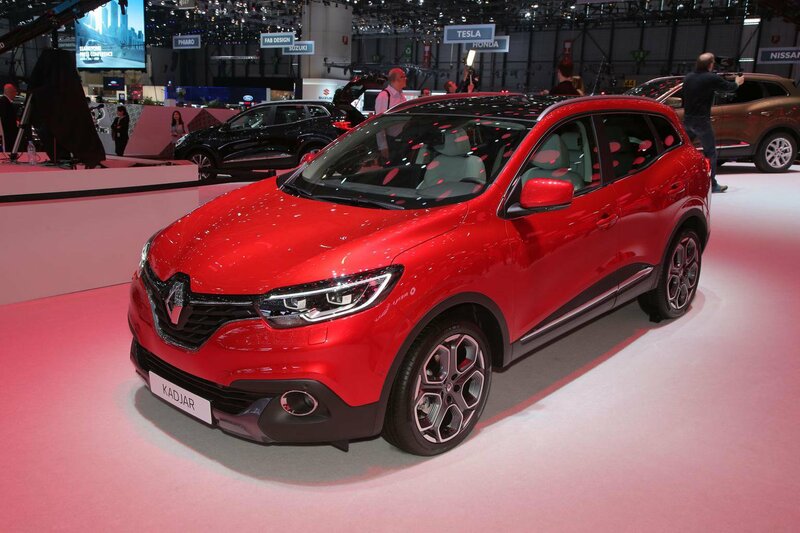 Be the first to see the Renault Kadjar in the UK | What Car? What Car? is offering readers the chance to see the new Renault Kadjar in the UK before anyone else on Friday, 17th April. The private preview will take place at our Teddington studios in south-west London from 1.30pm-4pm and offers readers the chance to get a close-up look at Renault's new SUV. The Kadjar made its public debut at the Geneva motor show in March and is set to go on sale later this year to take on the likes of the popular Nissan Qashqai. The new SUV will join the Renault range as a big brother to the Captur and comes with a reversing camera, a hands-free parking system, engine stop-start, emergency brake assist, lane departure warning and road-sign recognition with speed limit alerts. Full specifications are yet to be announced, but we already know that the Kadjar is larger than its Nissan counterpart and also has more boot space. Can the Kadjar continue the success of the smaller Captur and become a serious rival to the Qashqai? We want your opinions, so join us at the exclusive preview where you’ll get a hands-on look at Renault’s new SUV, and your comments will appear in What Car? magazine and online at whatcar.com. To apply, send the following information to readertestteam@whatcar.com.